Do you want to learn Spanish in Buenos Aires with the highest academic standards? 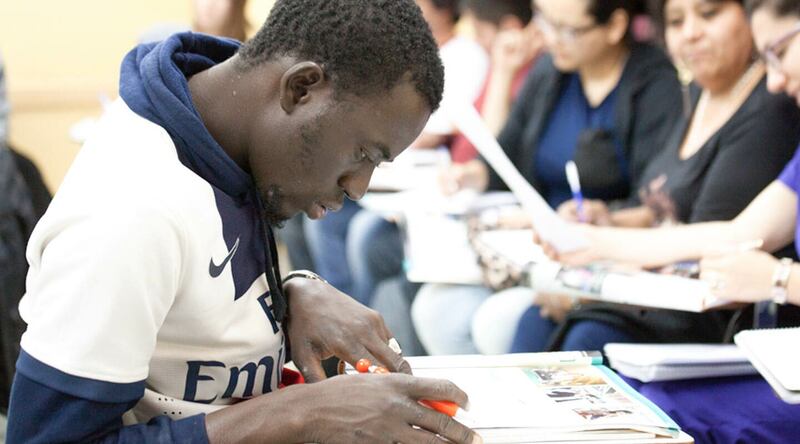 At CUI, we have +20 years of excellence in teaching languages to thousands of students. Our Spanish Programs are no exception: they were created in a solid institution and guarantee the same quality services that made us the biggest language center in Argentina. We have designed our Spanish Programs curriculum following the guidelines of the Common European Framework of Reference for Languages(CERF). Therefore, all our courses have a communicative approach and are task-oriented. In order words, you will learn Spanish in Buenos Aires by actually doing things through the language, in a enjoyable and meaningful process. CUI | Spanish Programs offers official transcripts, certified by local authorities, that will allow you to obtain University credits. As a result, your language and cultural immersion experience can also imply an academic benefit. We then invite you to enjoy a real immersion, learn with the highest academic standards and have fun. Make it worth. Learn Spanish in Buenos Aires at CUI. 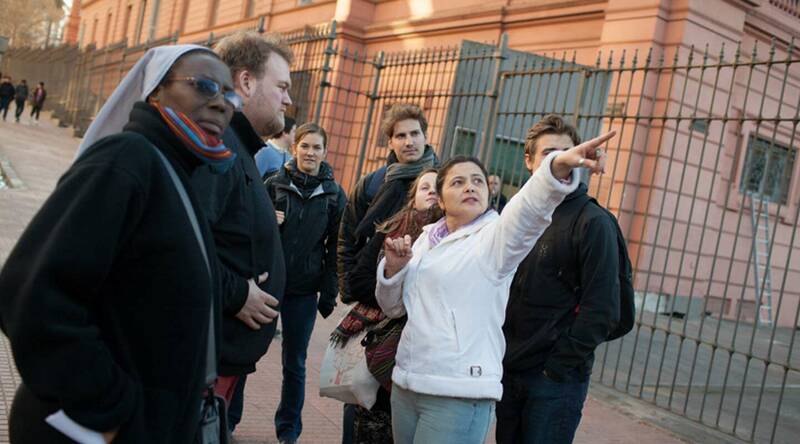 Learn Spanish in Buenos Aires through communicative and task-oriented activities. Enjoy a truly immersive experience with our accommodation options. "I really enjoyed my time studying at CUI! The teachers were brilliant and the Spanish classes were always exciting. During my time here I was able to learn all of the grammar structures as well as lots of new vocabulary. I found all of the staff to be very helpful, and I highly recommend CUI to anyone looking to learn Spanish in Buenos Aires." "At CUI, Spanish lessons are very dynamic and teachers very professional; I really enjoyed every class getting to know new friends and tips about this fascinating culture. In class you get good opportunities of practicing all the grammar structures you are learning. I would definitely recommend CUI to anyone who wants to learn Spanish in Buenos Aires!" "Always wanted to learn Spanish, so I went to my vacation in Buenos Aires, Argentina. The Spanish course at CUI taught me not only to communicate but also to understand this beautiful culture! The tango, the streets, people, everything was wonderful!" "The kindness of the teachers, attending each student in a personalized way, helping us to adapt to the new environment and motivating us to learn on our own is what I liked the most about the course. I have very good memories of the cultural activities too! Don't miss the chance of learning Spanish in Buenos Aires at CUI!" Mon to Fri from 9 a.m. to 9 p.m.
Saturdays from 10 to 15 hours.